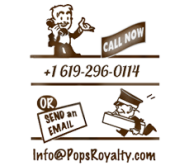 Pops Royalty Management Software releases software updates throughout the year. With each update, the look and feel may change. Should you have a specific question about a feature or module that you don’t see on this page, please contact us and we’ll be happy to send you some additional screenshots. Companies – Aka contacts. This is where you enter the companies you do business with or the people getting paid. Titles – Grants and deeds you manage. 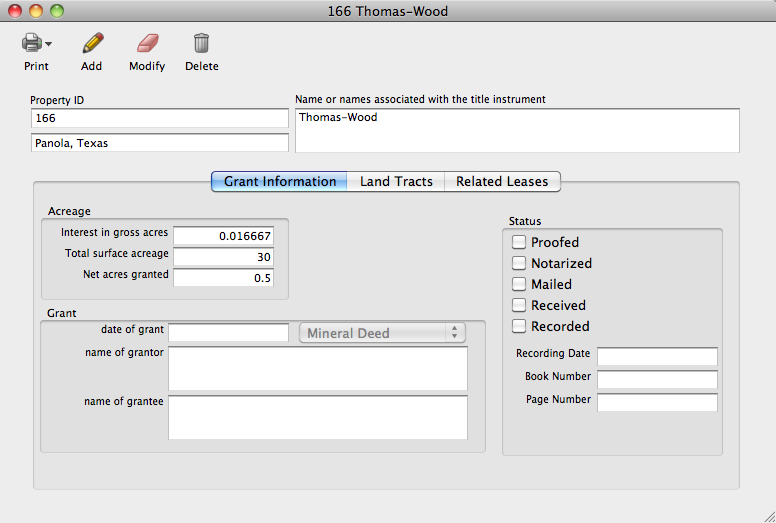 Record important date and acreage information. 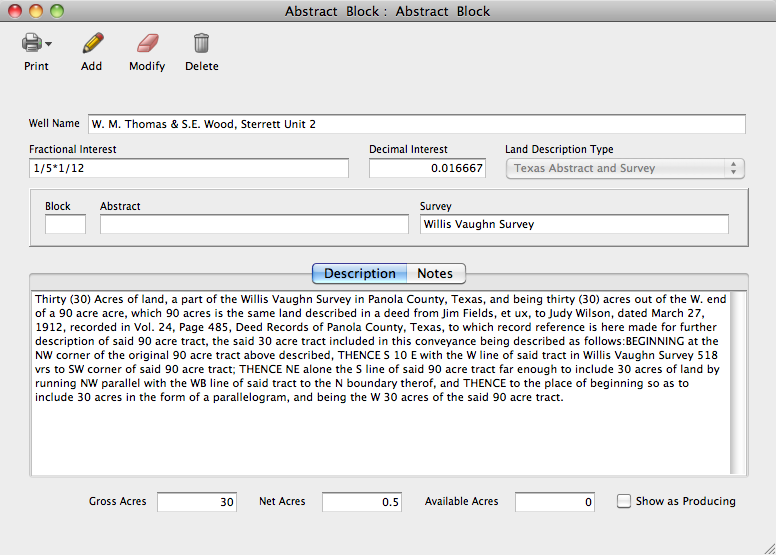 Tracts – Tracts of land by description. 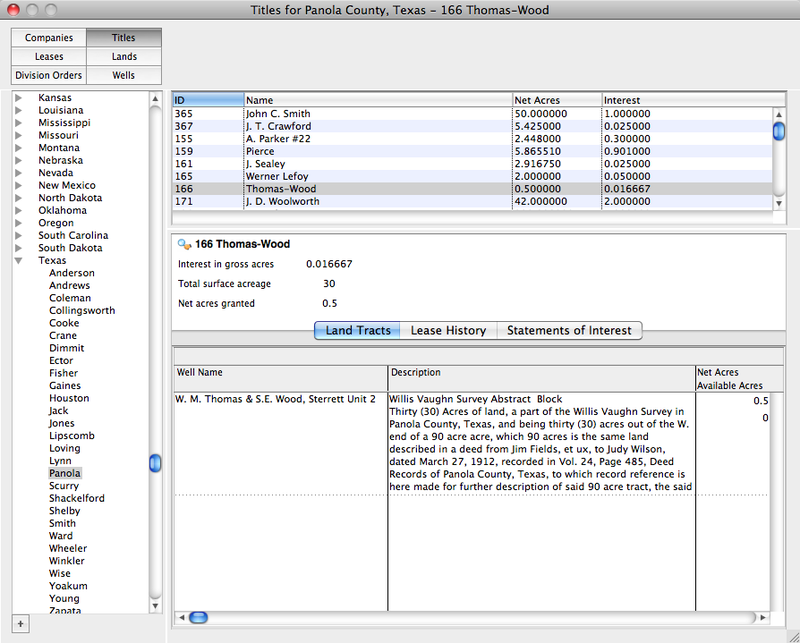 Include gross and net acres and sort by county and state. 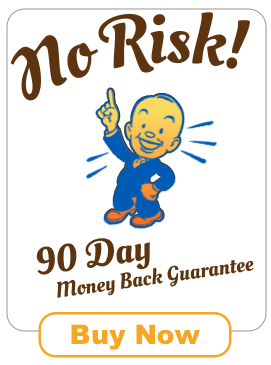 Leases – Leases and lease offers. Sections included for terms, production status, nature of material and more. 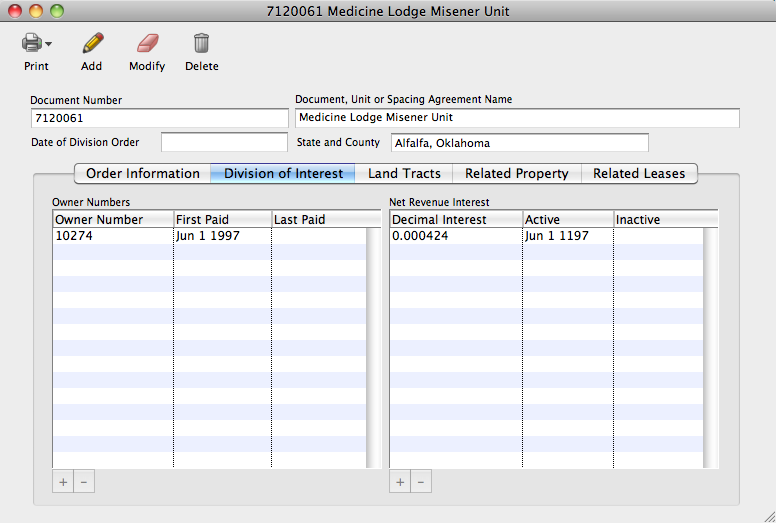 Statements of Interest – Division Orders (DOs), unit agreements, spacing orders. Issuer, operator, payor and more. Wells – Wells by name and sorted by state and county. 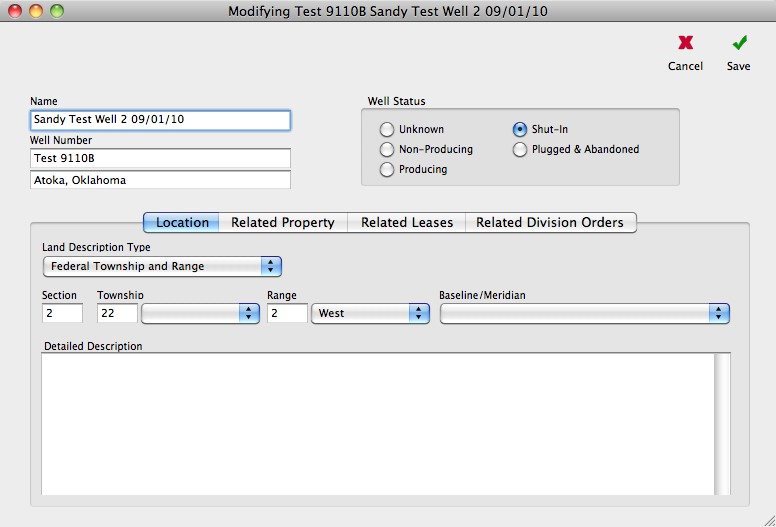 Handles multiple land description types and well status. 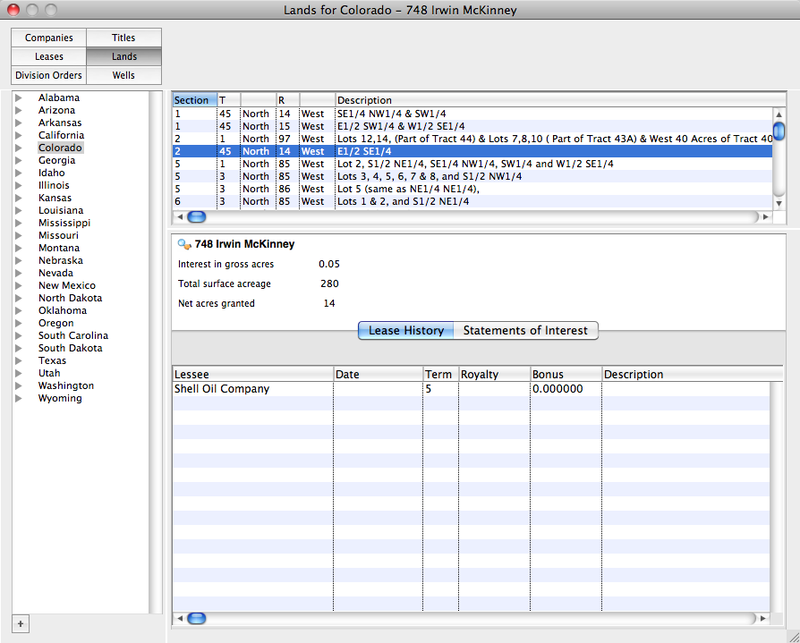 These modules mirror the six primary royalty business areas requiring either routine document management and/or tracking. Hover your mouse over a screenshot to see a brief description, then click the image to display a larger image.